Identity theft and underlying crimes with someone else’s name such as financial fraud, medical or health identity takeover, false employment, fake driver's license, and other criminal acts such as murder are on the rise. Identity fraud is nothing new and has existed probably since the very beginning of humanity when people became individuals and valued their individuality. These types of crimes only accelerated with the introduction of the Internet to the public in 1990s. As the online possibilities expand to connect us to each other for business or sharing information, we also jump on these opportunities to be connected to others and share some personal information along the way. Sometimes, we tend to share too much information about us because we also tend to trust whomever is on the other side of the line possibly thousands of miles away and in another country. I don’t know what makes us trust the Internet users and Internet companies and sites so much, but this blinded trust is a source of rising identity theft cases and criminal acts using other people’s identities. The Internet has brought information to our fingertip and we are willing to trade our security for comfort. This is somewhat similar to the cash vs. credit card or casino chip principles. Have you noticed that spending actual cash is much harder than giving away casino chips and credit cards? We tend to think at least twice as hard before giving away our hard cash. I don’t know why but somehow when we trade our cash for chips, credit cards or any other object, money loses its value and that’s why casinos encourage their valued customers to trade cash for chips at every possible opportunity. The slot machines even print receipts instead of giving back the balance of the cash we put in the machines. Similarly, we have traded our identity security for comfort, networking and greed by using the Internet. Instead of driving to banks to apply for credit cards, bank accounts, mortgages, and other loans, or driving to the dealer to buy and finance a car, or go to coffee shops to meet people, we go to the Internet, open the browser, search for keywords like “cars”, “loans”, “relationships” and “credit cards” from a search engine and voila, we have access to thousands of networking sites and merchants, banks, car dealers and their easy applications. Without an identity theft worry in the world, we apply to become members or buy cars and loans ceaselessly hoping for a merchant to bite the bait. Our society requirements or maybe our lack of time management skills has made us busy people, so busy that not only we eat and drink in our cars while driving to work, we also resort to the Internet for every thing else in life. We didn’t get here overnight. We went from restaurants to fast foods to drive-thru and now the Internet. I heard that we are even closer to a technology that will allow us to smell and taste things over the Internet and I believe it. We are moving fast toward a new territory with new rules. We don’t exactly know where this new route will take us but it certainly introduces new identity theft risks that we need to consider. I like the Internet just as I like the fast foods and drive-thru because they have made my life easy and I will not suggest going back to our old ways, however, we have to assume the new risks that come with online comfort and opportunities. When I first started using the Internet, I was careless and I continue to be a target due to new Internet tricks that pop up almost every day, but I’m aware of the dangers, and I continue to educate myself, those around me and others. As people rush to the Internet for comfort or to save time and meet new people, they expose themselves to huge identity security risks and sometimes become victims of identity fraud. As such, they go back to the Internet looking for protection against identity theft, and find many companies with an identity theft protection plan which may provide some type of protection from identity theft. So, they continue to share more personal information while looking for identity protection. This is a trend that needs to be stopped if we want to protect our identities against fraud. One way to stop the trend is to be much more selective when using the Internet or sharing information with others. Being selective means using the Internet and sharing personal information only when absolutely necessary and making sure we deal with the right people or sites. In fact, shouldn’t we be selective with every thing else in life when we have the options to select from? Every action must have a reaction and over sharing of personal information can have negative consequences. 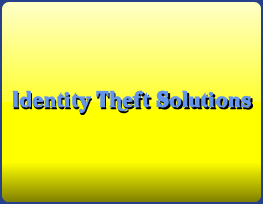 Return to the identity theft awareness home page.